EM Castellan writes YA Historical Fantasy. She lives in an English castle, travels extensively, reads voraciously, listens to music bands few people have heard of and watches too many movies to count. In case you are wondering, she also has a full-time job, so she mostly writes at odd hours and drinks a lot of tea. She is a member of the British Fantasy Society as well as SCBWI British Isles. She is represented by Erin Niumata of Folio Literary Management. For as long as she can remember, Raewyn Hewitt has loved escaping into fantasy novels. Dragons, quests, heroes and all manner of wild and wonderful things have captured her imagination and inspired her to create her own mythical realms. She is currently working on her first novel – an epic fantasy entitled The Fall of the Kings, where one bad decision will change the course of a nation forever. You can find Raewyn on the beautiful Kapiti Coast of New Zealand balancing her writing endeavours with the equally magical roles of wife and mama. Jessica is currently pursuing her Bachelor’s degree in Creative Writing at the University of Illinois. She primarily writes high fantasy with magic, adventures, and swords, but no dragons-for some strange reason. She enjoys writing (an obvious one), reading, Highland Dance, and training horses. She is currently working on a Young Adult High Fantasy called Blood and Honor, where a not-so-evil evil Queen has to decide to support her old homeland or the place to accept her after she was dethroned. She is currently on the querying stage of writing and starting on a new novel. Kathi lives in southeast Wisconsin on a small farm with her husband, a handful of Australian Shepherds, Her Royal Highness Princess Fiona the Cat, and assorted livestock. Growing up as the youngest of nine children, and the daughter of a librarian, Kathi spent many hours between stacks of books and secluded away in dusty archives, drawn to tales of medieval heroes and conquering knights. With so many characters and ideas spinning in her head, she had to get them onto paper or risk what little sanity she possessed. She has been penning wild tales of magic and mayhem as long as she can remember but opted to follow her artistic muse first. After earning a Bachelor of Fine Arts and spending many years working as a freelance artist, grocery clerk, art teacher, graphic designer, stable hand, advertising account coordinator, dog trainer, and process technician (among other things) she answered the call of her writing muse. Kathi has published several poems and non-fiction articles and makes her fiction debut in the fall of 2012 with a paranormal novella included in the anthology Witch Hunt: Of the Blood. She is currently working on a fantasy series, the first of which is making the rounds of agents while she works on Book Two. When not writing, Kathi trains and trials working Australian Shepherds, still paints, dabbles in photography, graphic design and anything else creative her assorted muses send her way. Mara is a self-proclaimed fangirl and all around geek. If she isn’t waving her geek flag proudly over a science fiction or fantasy fandom then she is using it to apply herself to her studies. She is currently an undergraduate student studying Exercise Science in the hopes of going on to Physical Therapy School. She is a former theatre student and retired actress with local theatre and film credits under her belt. While she loves acting, she feels her talents lie with creating the worlds for other people to lose themselves in. Her hobbies include losing herself to the literary world through reading or writing and singing karaoke. She claims that karaoke is the best ego boost in the world because even if you can’t carry a tune in a bucket, as long as you do it with a smile you are bound to have at least the drunkest person in the bar thinking you are awesome. She loves to read and doesn’t leave home without her Nook, though as a student and a full time writer she often struggles to find the time to get through her ever-growing “to read” list. Mara has been developing her current fantasy series, Heirs of War, for around seven years. While her goal is only to share the stories and characters that have lived in her head for so long, she also hopes to at least make enough money to pay for the carpal tunnel surgery she is certain to need by the time she finishes the series. If she isn’t writing, you can often find her snuggled up with her cat or playing video games with her husband. Kate’s love of history, myths, and fairytales inspires her stories for both YA and Adult. Sometimes they’re light, but more often they’re dark, with witches and fey, and frequently a curse or two. When she’s not writing, or reading, she enjoys spending time with her family. She can be found just south of Nashville, Tennessee, but she does not, under any circumstance, listen to country music. She’s currently querying her first novel, A Song in Winter. Obsessed with all things history, Rachel grew up reading adventure stories the calibre of Rafael Sabatini and only recently fell in love with fantasy as a genre. She lives in Maine with her husband and children, grows roses and tweets often. In addition to reading and writing, she loves coffee, spy series, and alternative rock. Her first novel, an epic fantasy titled COLDNESS OF MAREK, will be released in August 2013. Rachel is a recent university graduate with a BA in English, living and working just outside of Boston, Mass. For her whole life, Rachel has been amazed by the power of the imagination and the stories it can create. Not surprisingly, her literary focus centers around speculative fiction. Among much shorter prose, she has written an Epic Fantasy series and a YA Mystery novel that she is currently querying. When she’s not writing, Rachel can be found baking or spending time with friends, family and her cat. Hi, just to let you know I nominated you for an award – pop over to http://mandyevebarnett.com/2013/04/09/blog-award-spreading-the-love/ to pick it. Have fun! 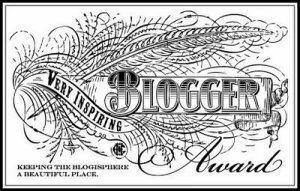 Hey, I just wanted to let you know that I have nominated you for the One Lovely Blog Award! Thank you for making such great posts! I would just like to say that your blog has been brilliant. I am struggling to write my own stories, and am vaguely meandering through, finding things out by trial and error, but your blog has been so helpful that I just had to comment. Keep up the extremely informative and useful blogging. Thanks.